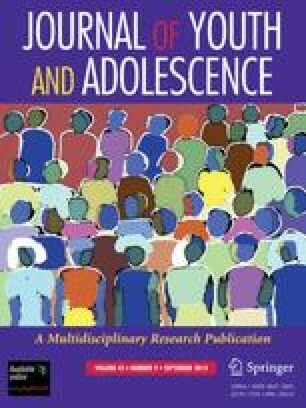 Research on adolescent self-esteem has been inconsistent regarding development patterns and processes, with some scholars concluding that self-esteem is a static construct and others concluding that it is a dynamic construct. A potential source of this inconsistency is the lack of attention to intraindividual changes in self-esteem across adolescence and to gender-specific developmental patterns. Building on previous research, we use a growth-curve analysis to examine intraindividual self-esteem changes from early adolescence to early adulthood. Using 7 years of sequential data from the Family Health Study (762 subjects ages 11–16 in Year 1), we estimated a hierarchical growth-curve model that emphasized the effects of age, life events, gender, and family cohesion on self-esteem. The results indicated that age had a curvilinear relationship with self-esteem suggesting that during adolescence self-esteem is a dynamic rather than a static construct. Furthermore, changes in self-esteem during adolescence were influenced by shifts in life events and family cohesion. These processes were different for males and females, particularly during early adolescence.